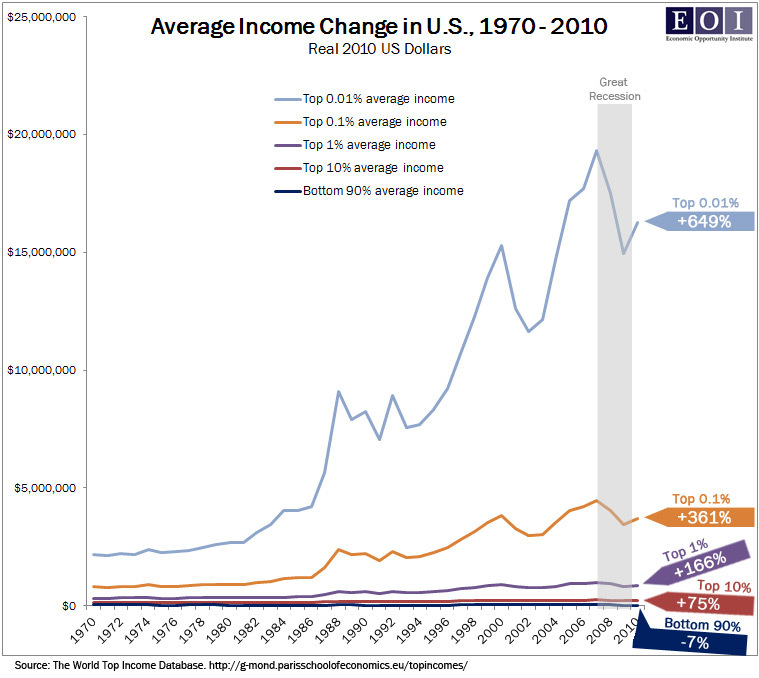 Can we really say the U.S. economy is recovering when 93% of all income gains in 2010 went to the top 1%? In 2010, average U.S. unemployment reached its peak of 9.6%; home values continued to crater; and more Washington families needed food assistance then ever before. That same year, the wealthiest 1% hoarded 93 cents of every dollar created – leaving just 7 cents for everyone else. This development is actually part of a decades-long trend of regular income increases for those earning 6 figures or better, while the “bottom 90%” (read: middle income and low-income) watch their incomes decline – despite huge increases in economic productivity.